By a number of political measures, this year bears an uncanny resemblance to the transformative 1896 presidential election… It pitted Republican William McKinley against Democrat William Jennings Bryan. Although McKinley won—the incumbent, Grover Cleveland, was a Democrat and the economy was bad—Bryan’s candidacy ushered in an era of fiery oratory and Democratic Party populism. 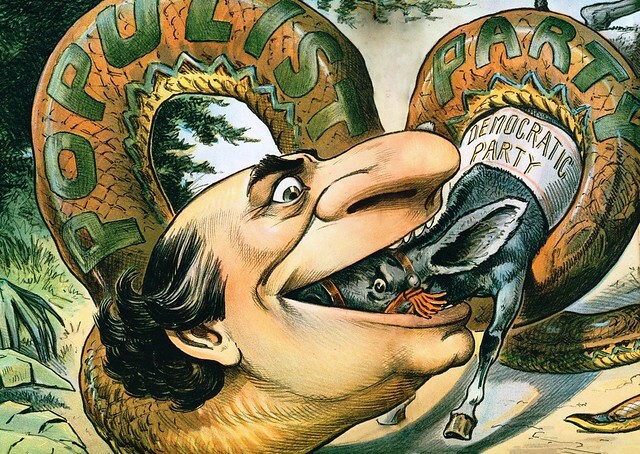 Indeed, Cleveland’s pro-business Democratic Party largely vanished from American politics. That probably sounds at least a little bit familiar, what with Trump’s populism and his own brand of fiery oratory. But, political scientists Julia Azari and Marc Hetherington argue in the Annals of the American Academy of Political and Social Science, the similarity goes well beyond personality…. 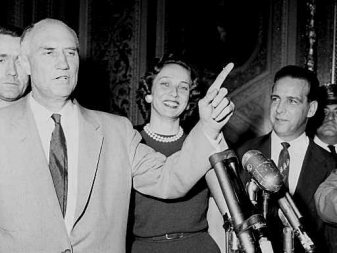 As we batten down the hatches, we might recall that it was on this date in 1957, at 8:54p, that Sen. Strom Thurmond of South Carolina, a Democrat (of the Dixiecrat variety), began a 24 hour and 18 minute filibuster, the longest ever conducted by a single Senator. Thurmond was speaking in opposition to the Civil Rights Act of 1957; his opposition to the 1964 Civil Rights Act led him to switch to the more comfortable home of the Republican Party.